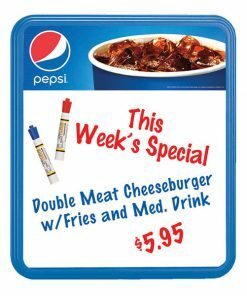 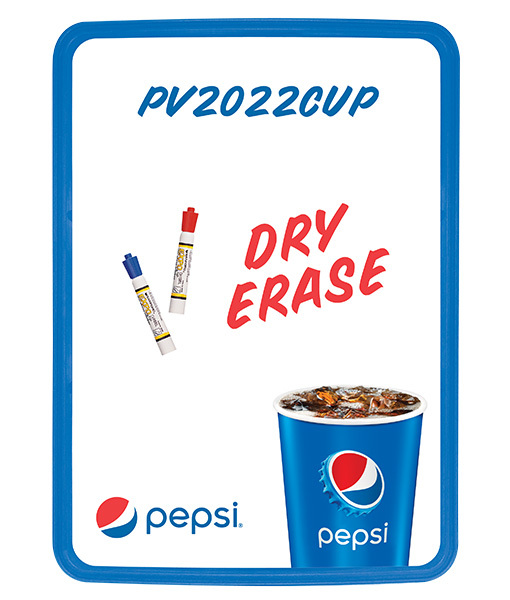 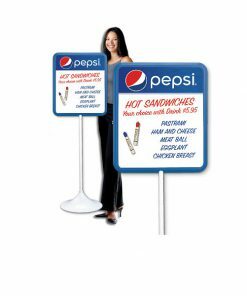 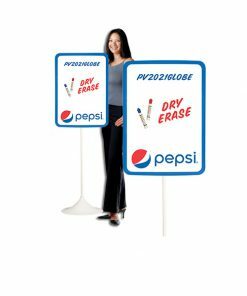 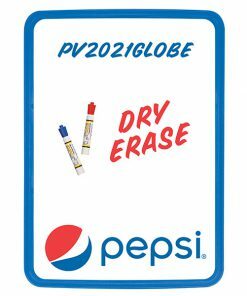 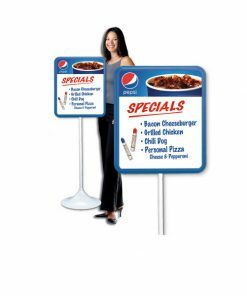 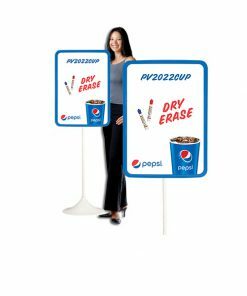 Pepsi Cup dry erase menu board with wallmount and easel display options. 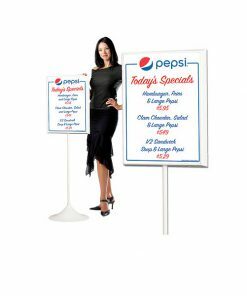 Features a blue durable injection molded frame and a built in, snap-out easel back. 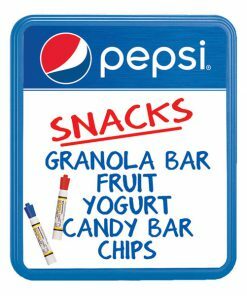 Sold in Carton of 5 ($19.95/ea) or Sold Individually.